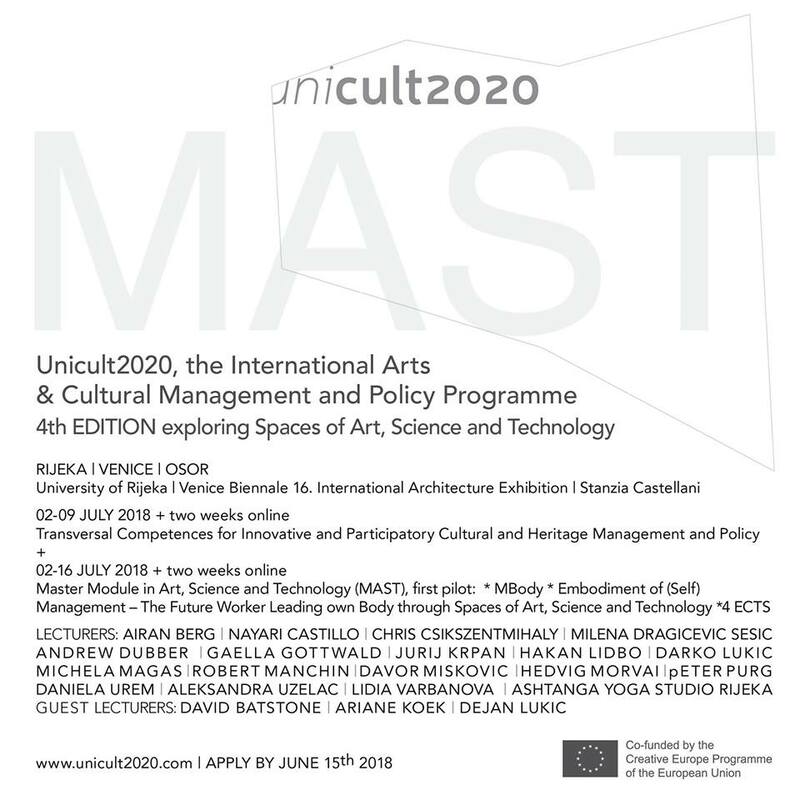 Interested students and professionals welcome to apply for the fourth edition of the MAST_Unicult2020 - the International Arts & Cultural Management and Policy Programme for July 3rd -16th of 2017. 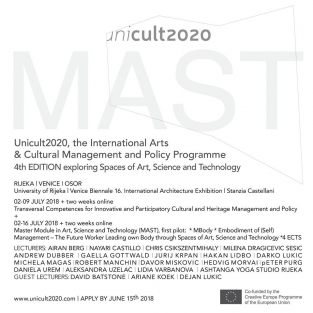 The MAST - Module in Arts, Science and Technologie project already in its first event interlinks with the Unicult2020 programme. 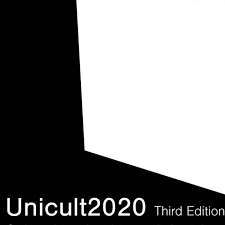 Together they offer two full weeks of lectures, intensive mentoring sessions, open discussions, site-specific mapping, research and educational visits, with online mentoring a week before and after the live event. The programme is designed for academics, researchers, undergraduate / masters / PhD students, artists, cultural operators and professionals, representatives from international organizations and cultural institutions interested in the topic. Deadline for applications is June 25th, 2018. Want to study across Art, Science and Technology? The MAST - Module in Arts, Science and Technologies will be implemented by three universities of the MASTmast partner consortium. Already in 2018/19 they offer a range of 5 international workshops (Portugal, Austria, Hungary, Croatia, Slovenia). Students will face an interdisciplinary challenge, seeking innovative solutions with support of excellent mentors, artists, scientists, engineers, curators and producers. The School of Arts, University of Nova Gorica invites international applicants to enrol for the Media Arts and Practices MA (postgraduate) programme. The carrier modules ANIMATION, FILM, NEW MEDIA, and CONTEMPORARY ART PRACTICES will now increasingly include also the ART/SCIENCE/TECHNOLOGY “MAST” pilot courses. More information about the studies on info.au@ung.si or phone +38651336670 (10-15h), also check http://au.ung.si/map-app. The Madeira Interactive Technologies Institute (M-ITI) of the University of Madeira (Portugal) invite international applications to enrol for the International Master of Interactive Media Design (MSc). The MDMI teaches you about digital interactive media, games and interactive storytelling, social and critical aspects of technology at the University of Madeira in the beautiful setting of Madeira island, in close collaboration with the M-ITI international research centre. The MDMI gives direct access to PhD programs, participation in the MAST project, and collaboration opportunities with leading universities and international partnerships. If you are interested in research in Interactive Digital Media, if you want to understand how to use interactive media to craft transformative and socially engaging experiences, if you want to engage with an international community of world class researchers and academics, the MDMI is what you are looking for. More information at apoioaoestudante@uma.pt, and applications at https://applications.uma.pt/?lang=EN.